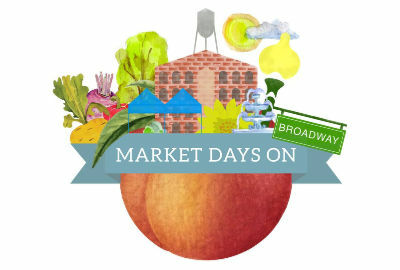 Uptown Columbus' Market Days on Broadway takes place every Saturday morning, year-round from 9am until Noon in the 900, 1000, 1100, & 1200 blocks of Broadway. You will find over 100 local vendors selling anything and everything that you can image. The Market features many local and organic farmers selling produce, along with soap vendors, home goods, jewelry vendors, and baked goods. Our friends from local shelters and animal rescue groups can be found in the median of Broadway! We hope you will join us Saturday Morning on Broadway! If you have questions about the Market please call the Uptown office at 706.596.0111.